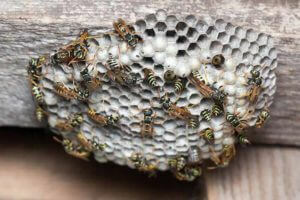 Hogarth’s Pest Control specializes in Paper Wasp removal. 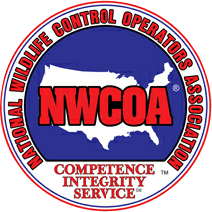 Hogarth's Pest Control specializes in all types of industries, residential and commercial. A paper wasp is a large wasp with long legs and brown/yellow markings. These social wasps help pollination by feeding on nectar—and because of this are typically seen as beneficial by gardeners. Paper Wasps get their name thanks to the paper-like appearance of their nests; a material made from a water-resistant mixture of saliva and fibers from dead wood or plants. You can find paper wasps most typically in sheltered areas. This includes the eaves of a house, tree branches, open pipes, or old clotheslines. 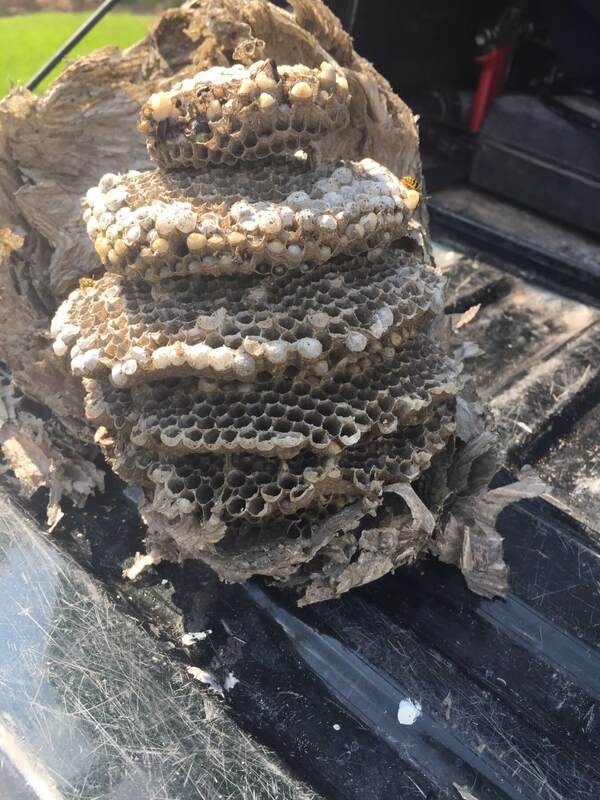 If you believe to have come across a paper wasp nest, stay calm! 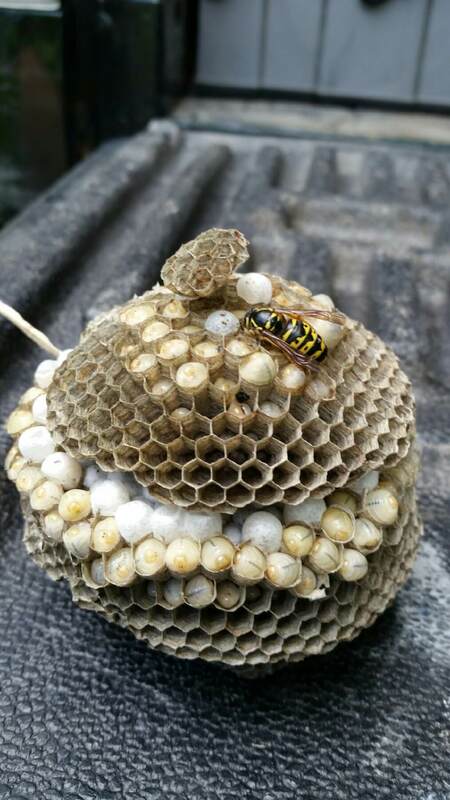 Unlike more aggressive vespids such as yellow jackets and bald-faced hornets, paper wasps will generally only become aggresive or attack if they or their nest has been threatened. However, this territorial behavior can result in attacks on humans and animals and can be dangerous. 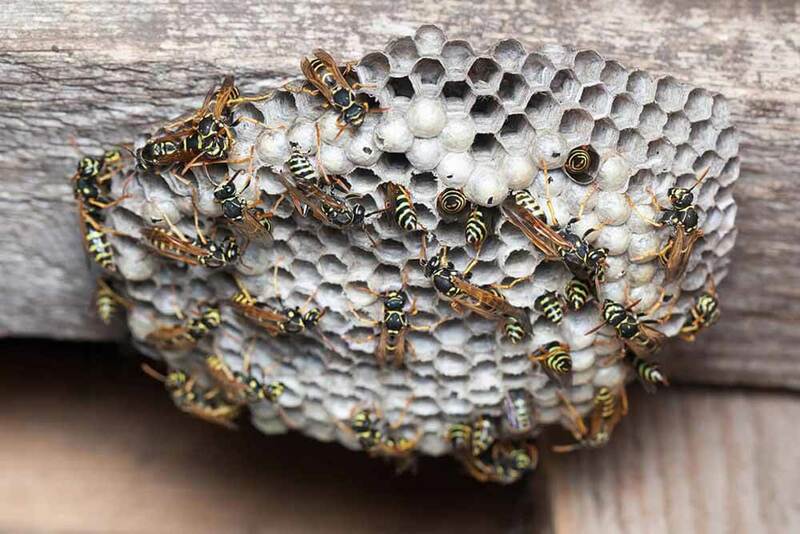 If you believe to have found evidence of paper wasps near your home, do not hesitate to give us a call!